EpiValence work with a number of partners globally to develop new precursors and processes to enable the fabrication of next generation devices. 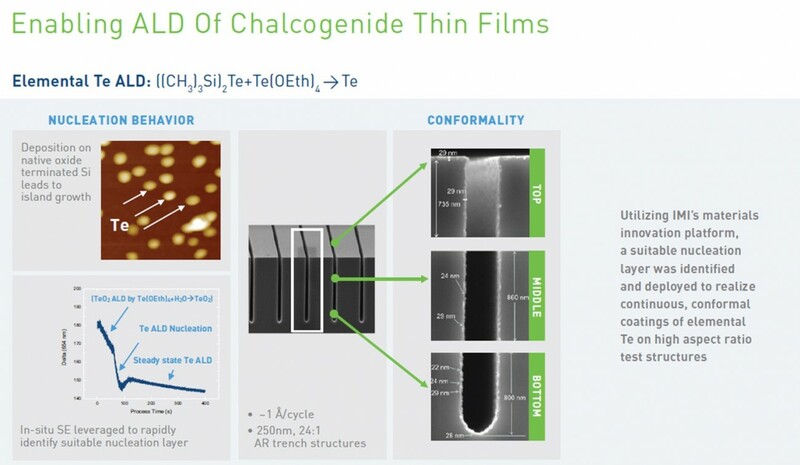 One partner, Intermolecular, have published their latest results for phase change memory materials with a key advance in the required nucleation conformity and stoichiometry control using metallic Tellurium ALD highlighted. 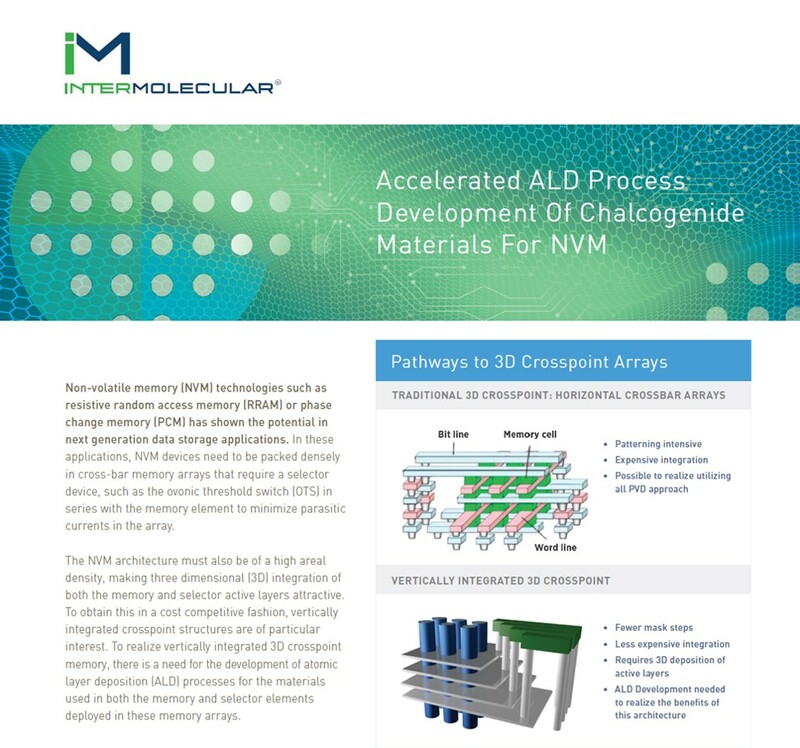 EpiValence are proud to report that precursors employed to achieve the test data presented in the attached press release from Intermolecular (IM_Te_release) were provided by EpiValence. This is one example of where working with us to develop a process has been highly successful and we encourage all similar process developers to contact us to discuss how we can help.